I have spent most of the second have of 2014 working in Branson, Missouri on the television show Branson Famous. Being away from my home for extended periods is not usual for me, nor any television producer for that matter. What was unusual about this job was that instead of staying in a hotel room I shared a house with the rest of the crew. To be honest, I had my doubts. It’s been a very long time since I had a roommate, let alone five total strangers as roommates. But I’m not one to scoff at a long-term gig, so off I went. As soon as I arrived my fears were assuaged. The crew, to a person, was respectful of everyone’s privacy and incredibly good at their jobs. I could recommend each and everyone without a pang of doubt. (So if you’re looking for cameramen/women, field producers, production managers hit me up.) 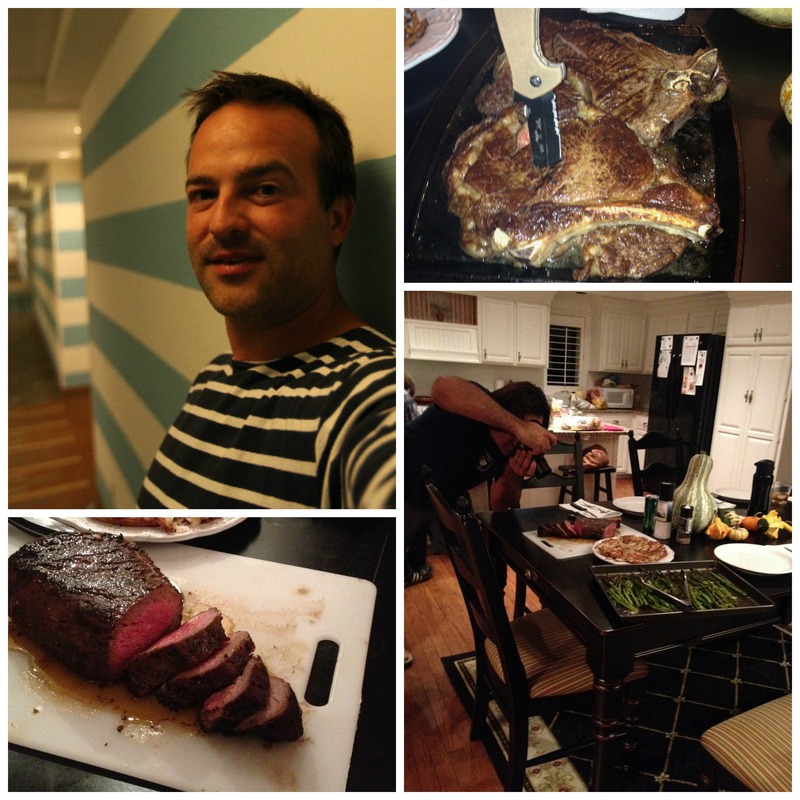 One aspect that I loved about sharing the house was our evening meals. Branson has a ton of restaurants but one can get very tired of pulled pork and barbeque rather quickly. So four or five nights a week someone would cook. Well, mostly, Rudy the cameraman and I would cook. Rudy is a carnivore of the first degree. A methodical magician when it comes to the art of barbequing steak—rib eye, sirloin or any other steak. My meals varied. 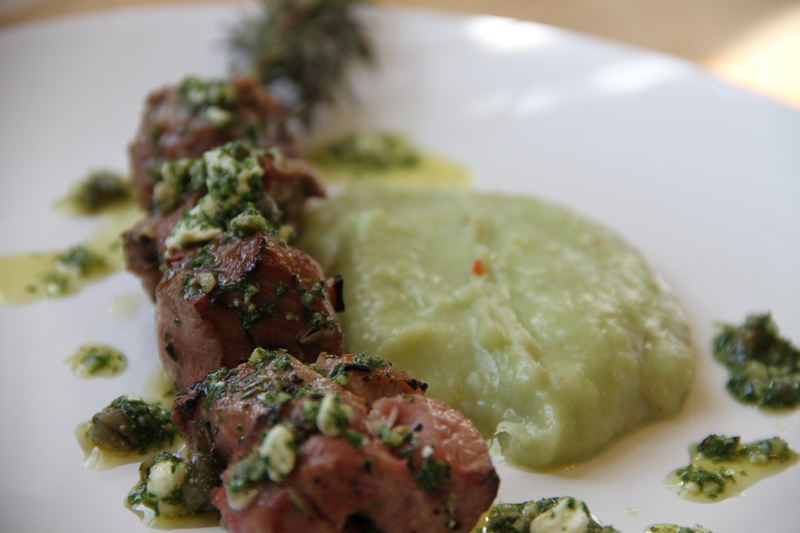 I cooked these lamb skewers with lima bean puree. The lima bean puree was the hit. Grilled salmon became a top ten choice. In medium sized sauté pan add a splash of olive oil, garlic and onion. Cook on medium heat for about 2 minutes. Add cherry tomato halves. Cook for about 2 more minutes. Add frozen spinach and cook while stirring to thaw out spinach. When spinach is thawed out add remaining ingredients and cook for about 4 more minutes. Cool. 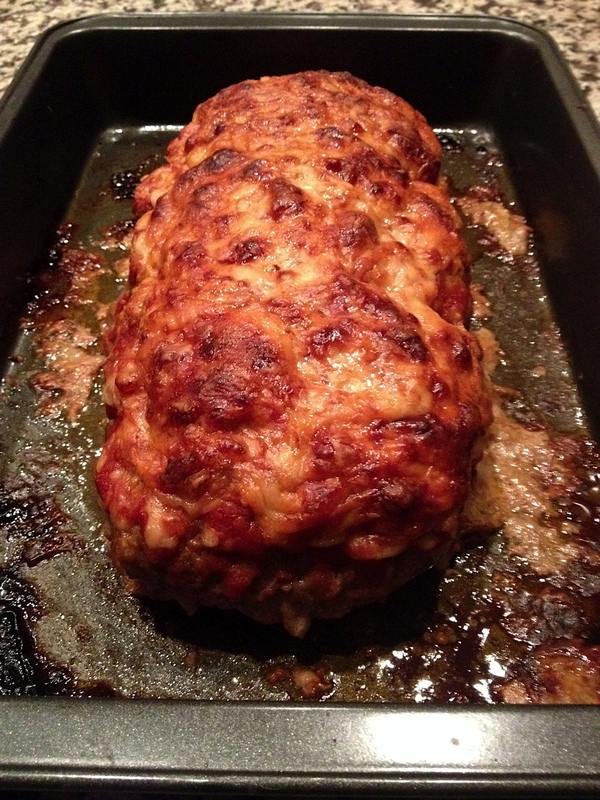 Place half of the meatloaf mixture on a half sheet pan or large baking dish. Shape a log that has a pocket that will hold the spinach. Spread spinach over bottom portion leaving a half inch hem of meatloaf. Add the remaining meatloaf mixture on top of the spinach by taking a third of the mixture flattening it a bit and placing on top of spinach. Continue until the spinach is covered. Pinch the edges to seal in the spinach. Sprinkle the remainder of the parmesan over the loaf. If half cup isn’t enough add more. Bake in 350 oven for 45-60 minutes. 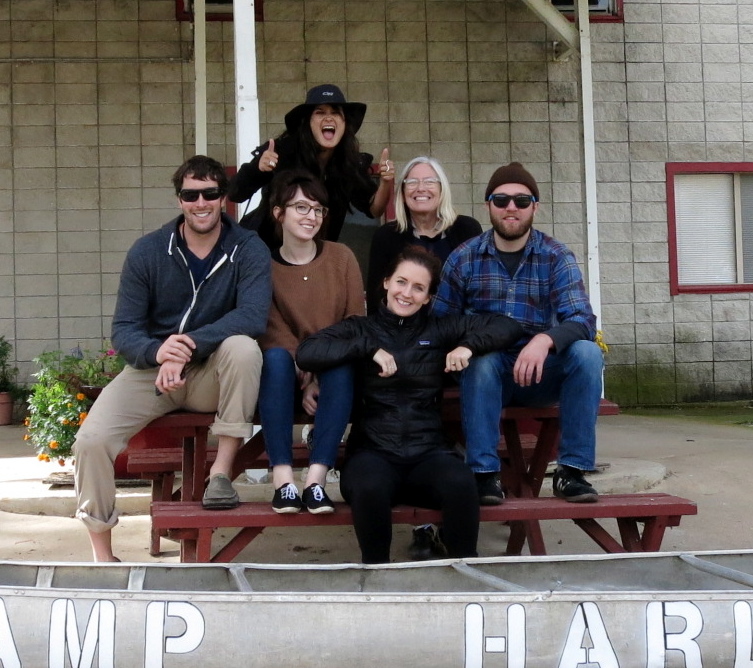 What a fun experience! 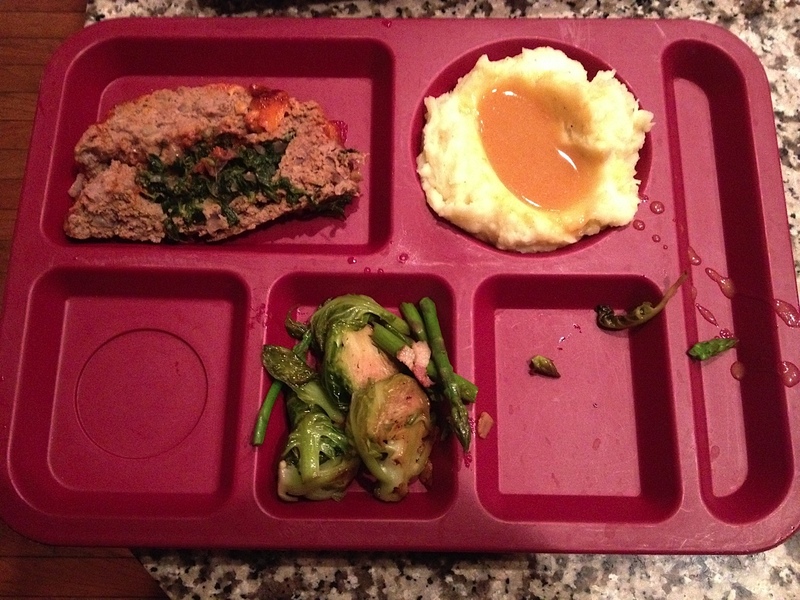 The meatloaf looks great and I love that you ate it TV dinner style… too funny! I’m totally making this some night this week! Can I use ground turkey/pork/lamb instead of beef? I get the fat content but I don’t eat the cow. Hope you are well! Miss you! …and yes, I need to start writing again. Janie you can use any kind of meat but make sure there’s enough fat (bacon will help). I made it with lean beef and it wasn’t good. Get writing girl. This looks like so much fun! I love me a good meat loaf too! It was a great gig. Thanks so much for stopping by.